I took my flying geese circle block & turned it into a wall hanging for my SIL’s birthday. 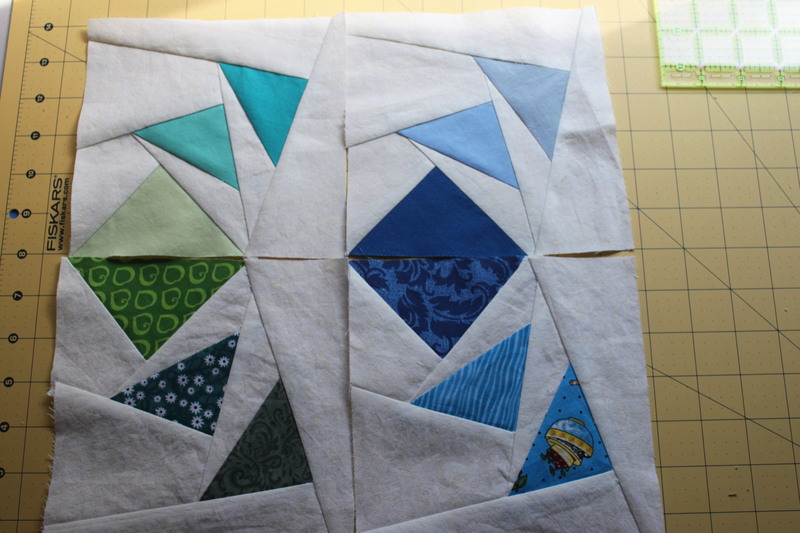 I used some fabric from the flying geese to border the block, and then used the backing fabric to outline the entire thing. 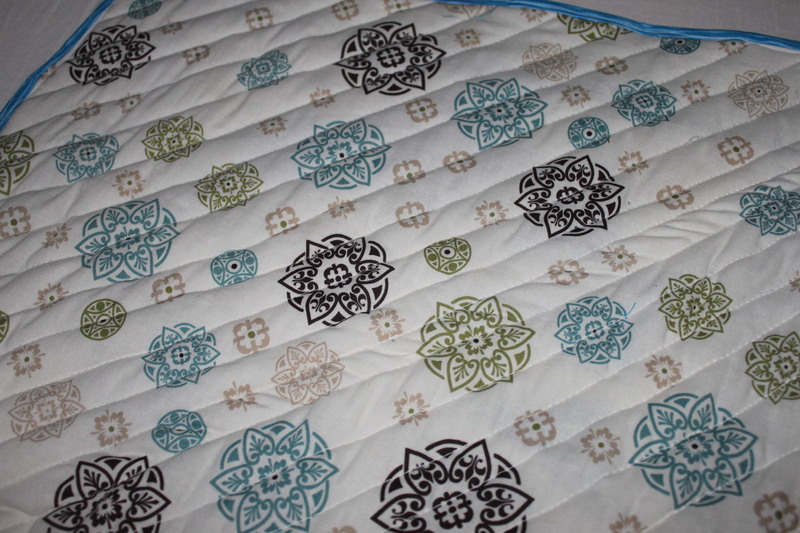 Then I quilted it in free form straight lines on my machine. 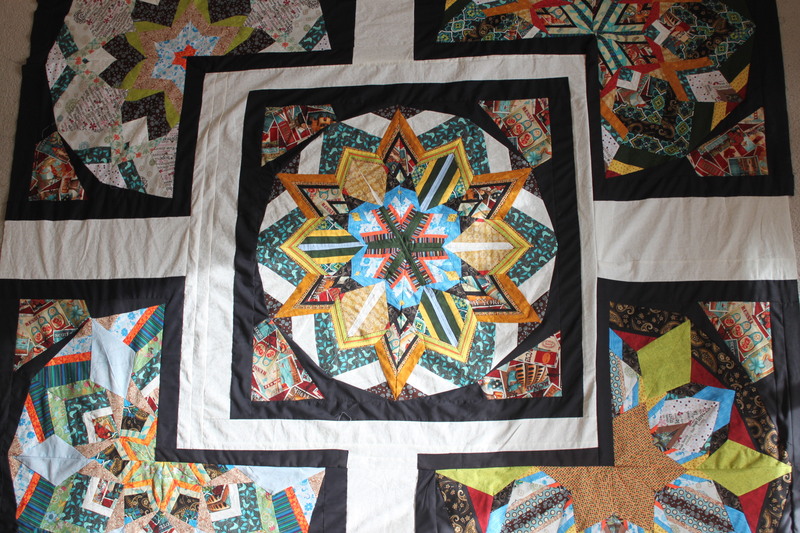 I used more flying geese fabric to bind the entire quilt. It measures 20″ square. This was really fun, and other than 2 small blocks that make up the full circle, I made the entire thing in an afternoon. So glad my SIL likes it! 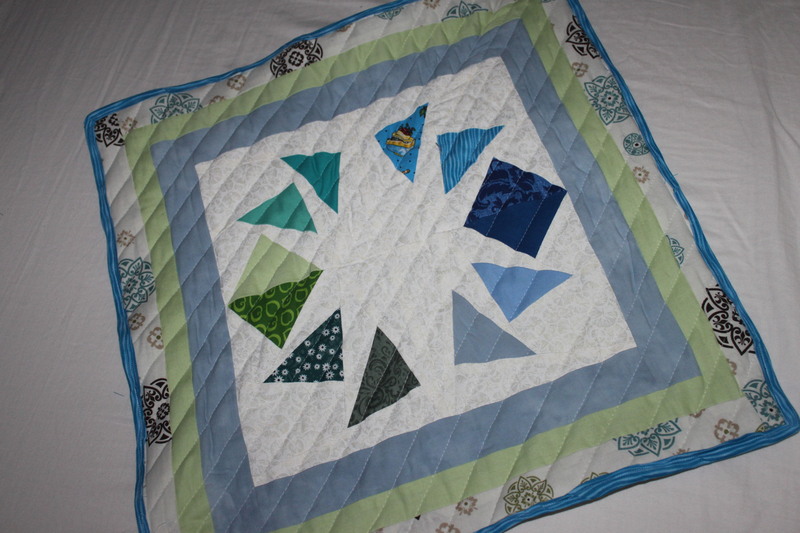 I have been wanting to do this flying geese pattern for a while. This week I finally got my chance! 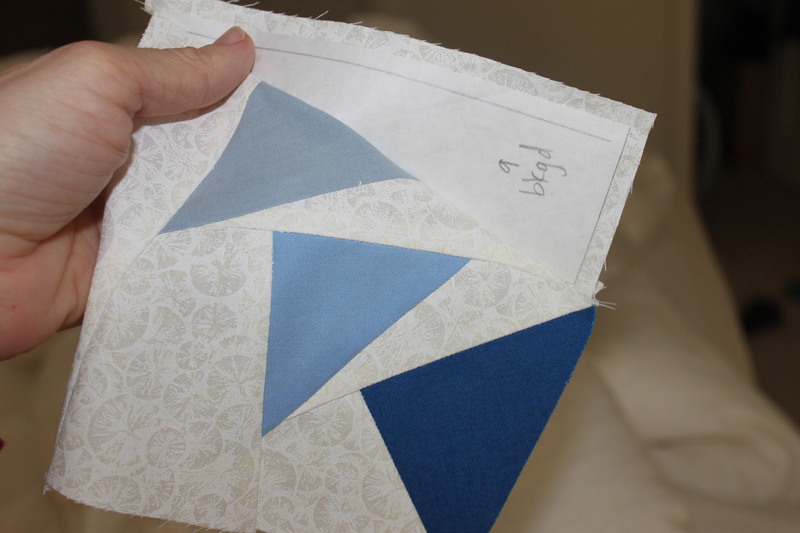 Paper piecing the quilt block helps it come together quickly & efficiently. 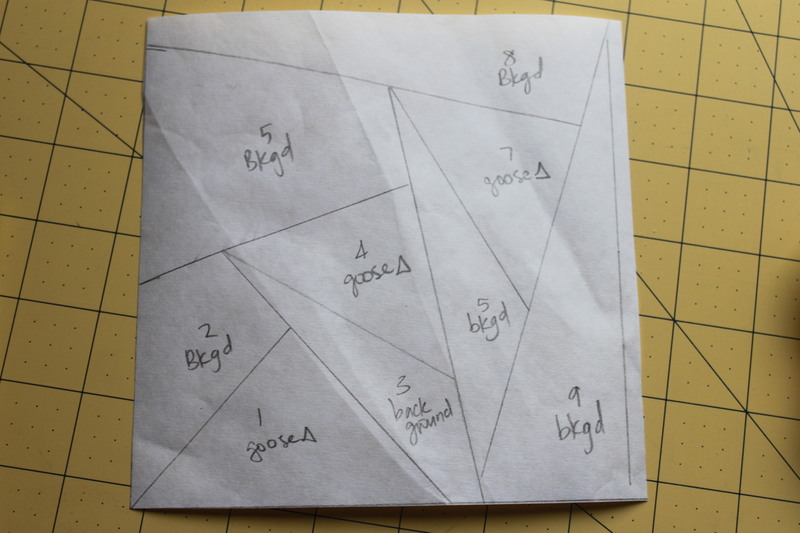 Below I have some do’s and don’ts for paper piecing Piece By Number‘s free circle of geese pattern. However, the tips should be applicable to any paper pieceing project. 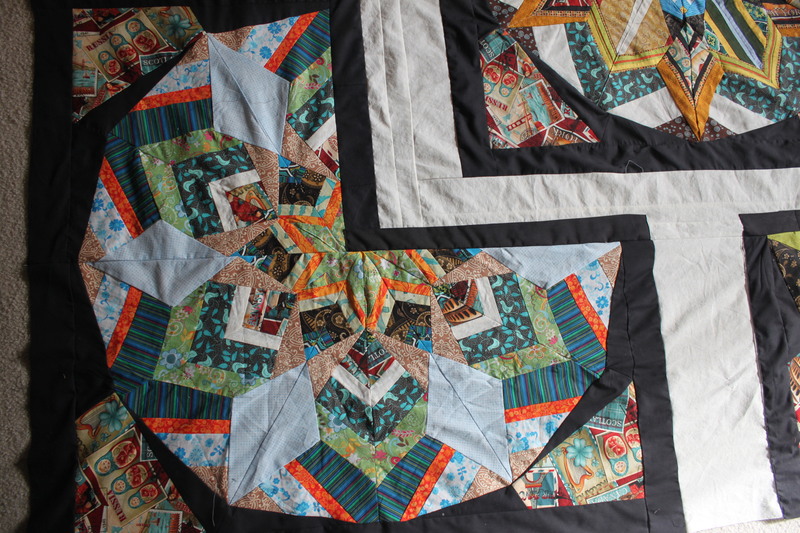 The way this pattern is designed, you need to make 4 small blocks to create the one large block of a full circle. So first you want to have all your supplies in 1 place for efficient assembly. 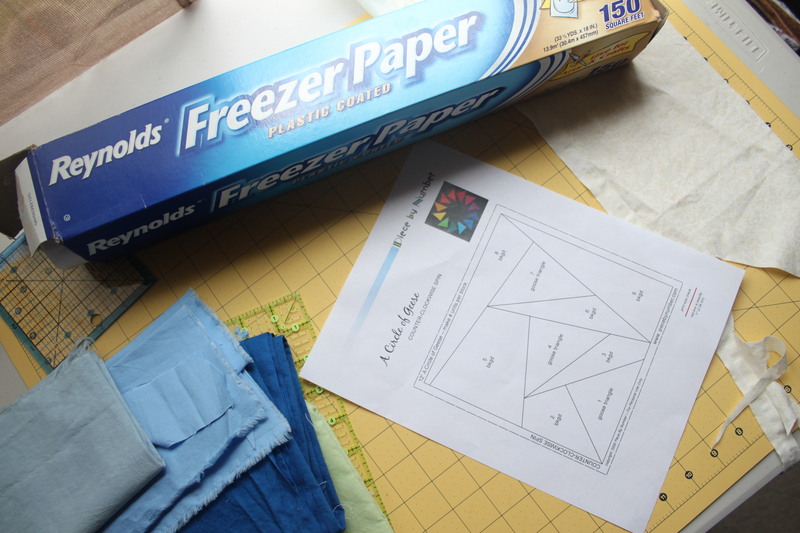 Print off the pattern, get freezer paper ready, and have your fabric selection out. 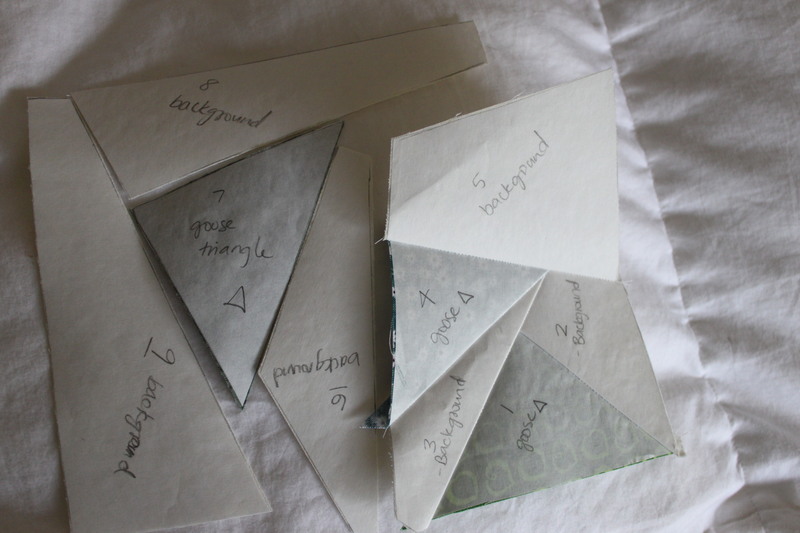 Start by covering the pattern with the freezer paper. 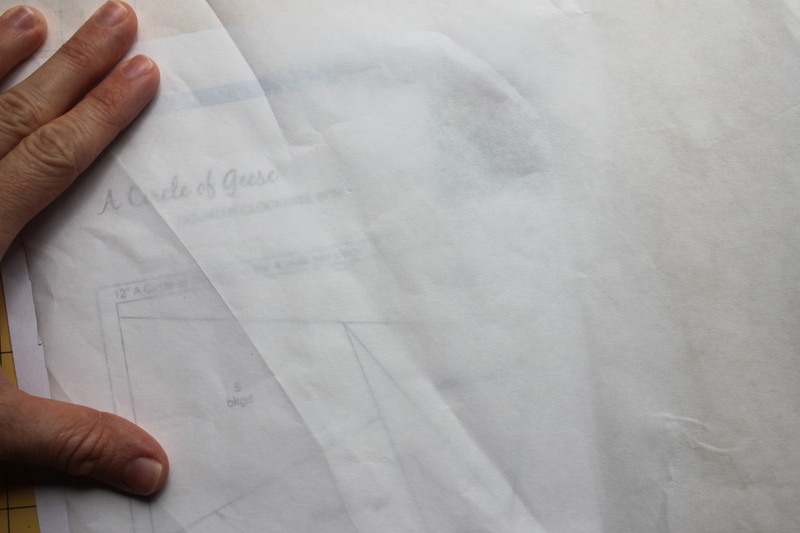 Carefully trace the pattern through the paper. I used a pencil because I was afraid pen would make marks on my iron that would later transfer onto my fabric. 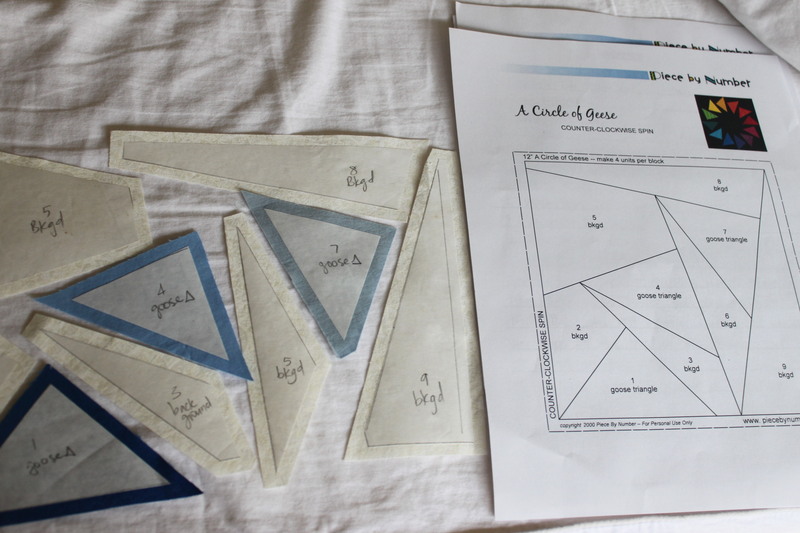 Make sure when you trace the pattern you label the pattern pieces! Some of these are very similar, so it could potentially cause a problem if they were switched by accident during assembly. 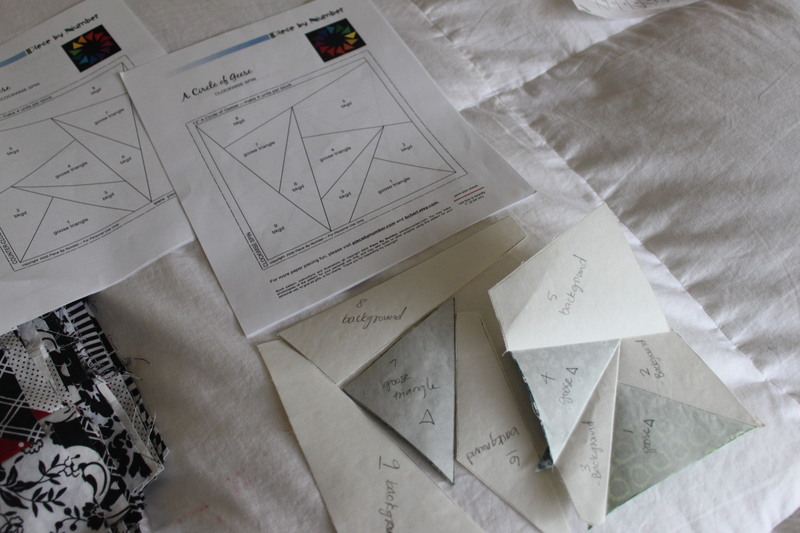 I also marked which pieces were supposed to be background so I’d remember which color of fabric went with each pattern piece. 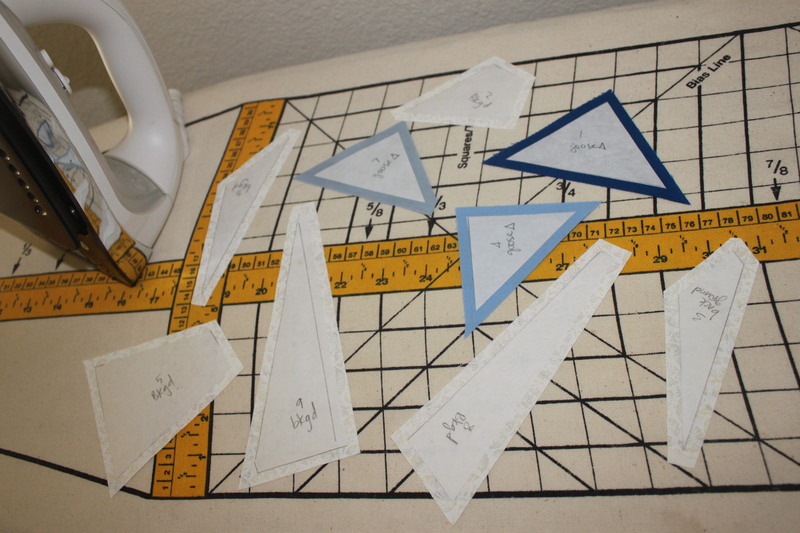 So cut out the individual pattern pieces, and iron them onto the designated fabric. MAKE SURE THAT YOU LEAVE ROOM FOR CUTTING SEAM ALLOWANCES. 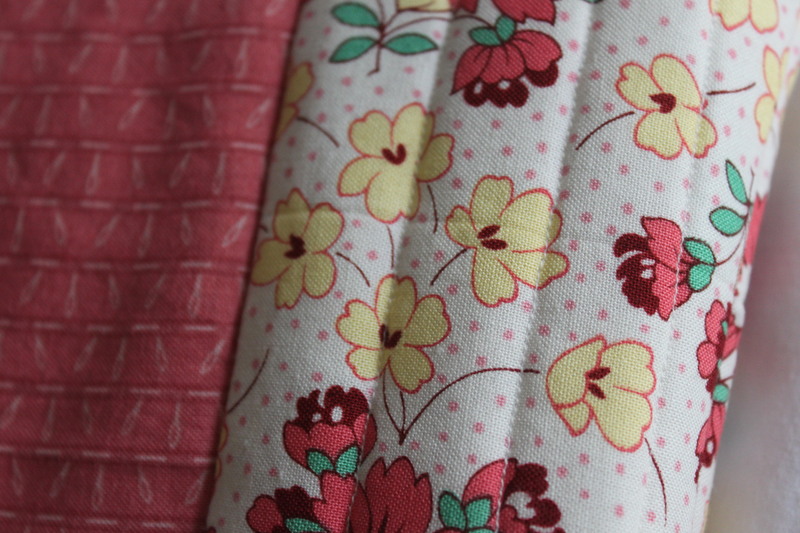 I sew with 1/4″ seam allowance, so that is the amount I left on when trimming the pattern pieces. After cutting out the individual pieces, I like to iron them again, just to make sure the freezer paper isn’t partially lifted from the cutting process. When you iron them, just press down with the iron, eg. “press” instead of actually ironing, eg. 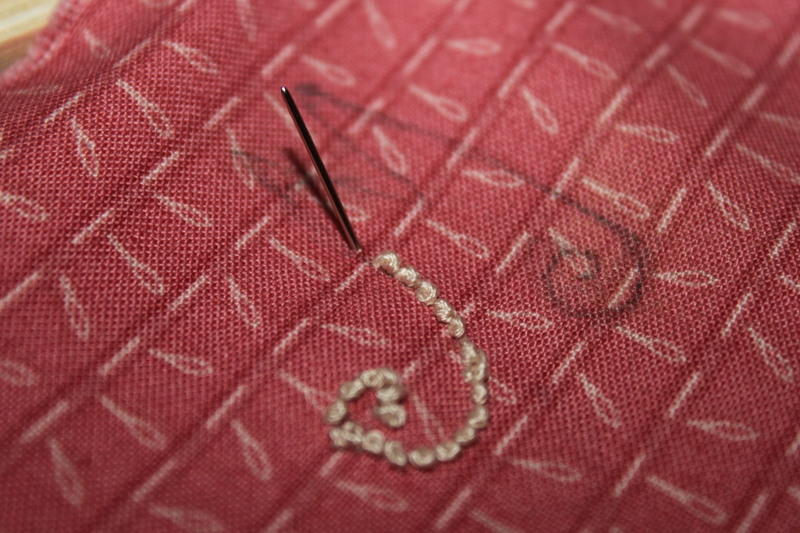 making a “back and forth” motion with the iron over the fabric. If you actually iron rather than press, you could potentially stretch the fabric. 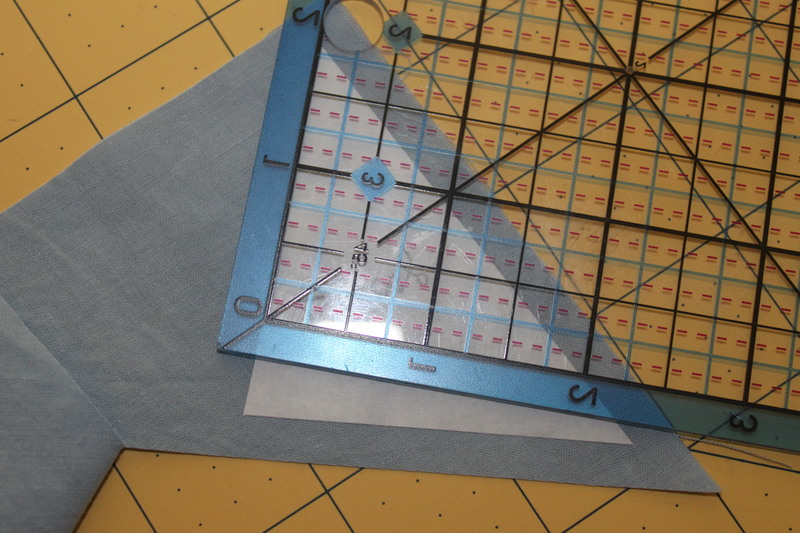 After pressing the pieces I like to lay them out next to the pattern in the proper assembly orientation, because this makes it easier for my brain to assess how each piece is sewed to the next. Take piece #1 and piece #2 and sew them together. 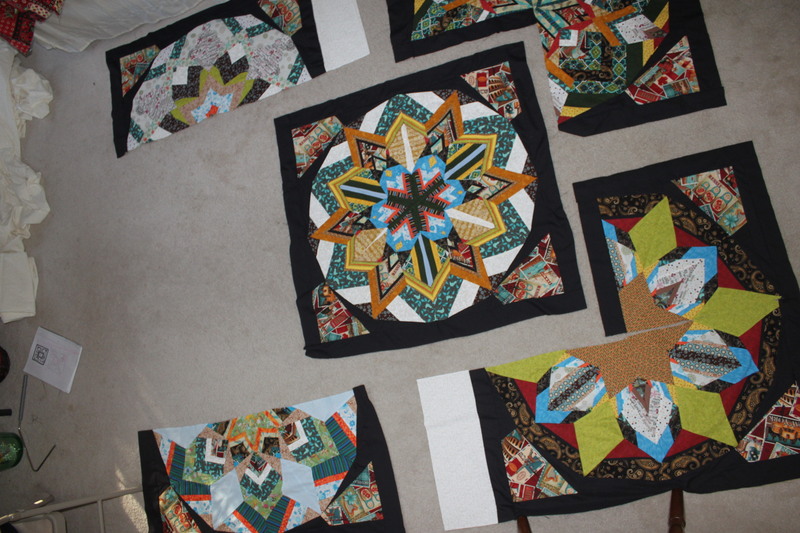 You can see in the photo below that I am sewing them together with the paper on them. 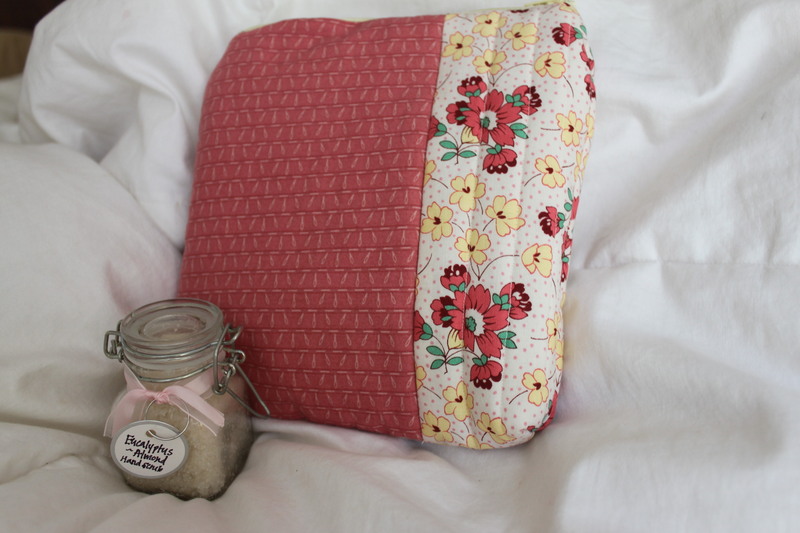 The added stiffness gives you more control when sewing so it should be easier to sew these little pieces of fabric without stretching, slipping, or warping. After you finish sewing them, just pull off the freezer paper. 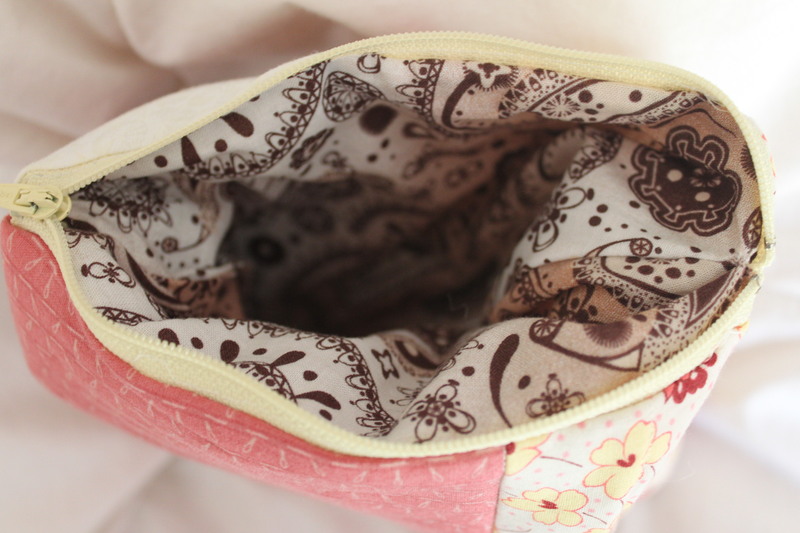 It is reusable, so you can use the same pattern pieces over and over and over again, just re-ironing them onto more fabric. Below you can see that I sewed through an edge of the freezer paper. This is really easy to do, & just another reminder of making sure that you give yourself adequate seam allowances. 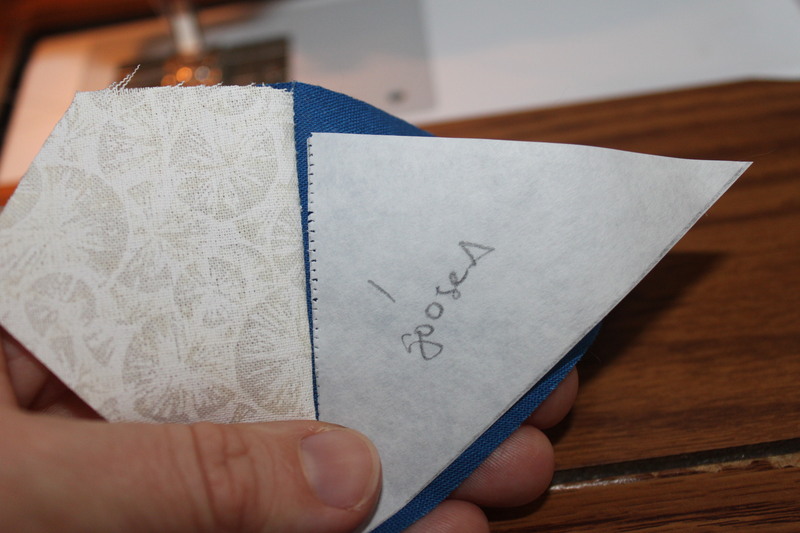 If you sew through the edge like I did, just lift the paper as much as you can, and then gently tear it away from the seam. 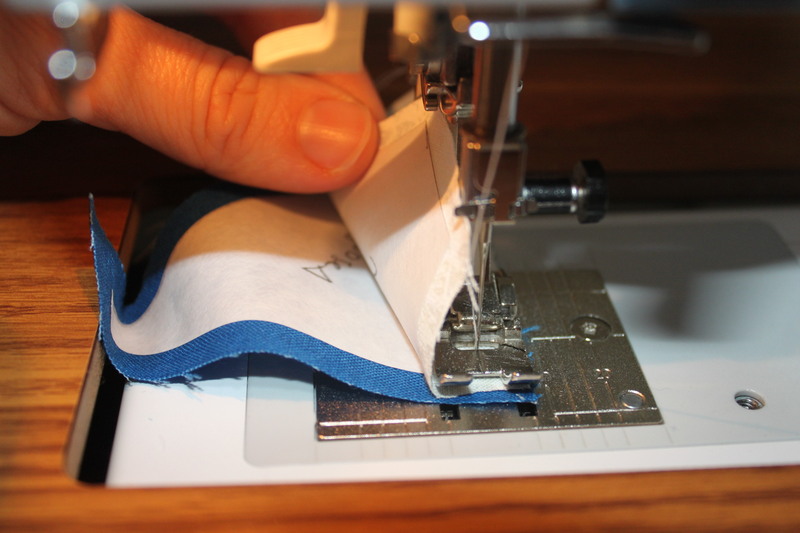 Tearing it will be easier if you sew with a smaller stitch than used with regular sewing. 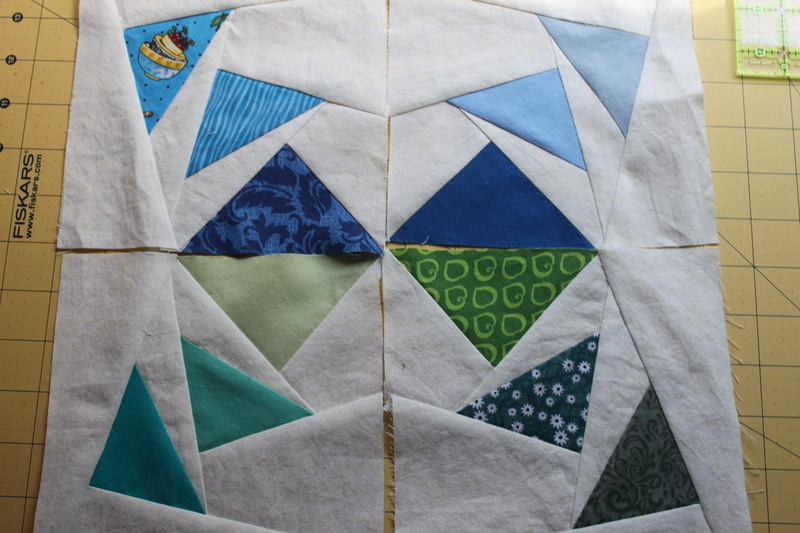 Then press the sewn pieces flat. Now here you can see what I did with my first block. I didn’t remove any freezer paper. 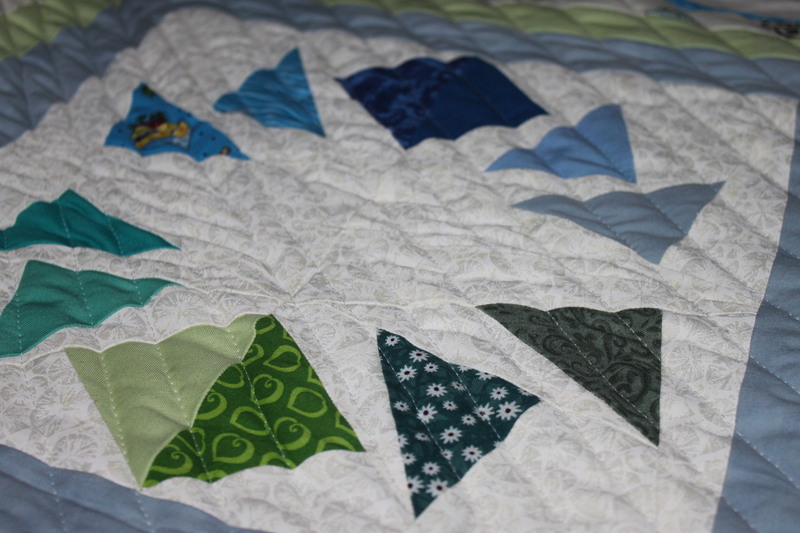 I left it all on because I was afraid the pieces without it wouldn’t stay put & I would mess up the fine corners in this pattern. My fears were in vain & I gave myself a lot of extra work! 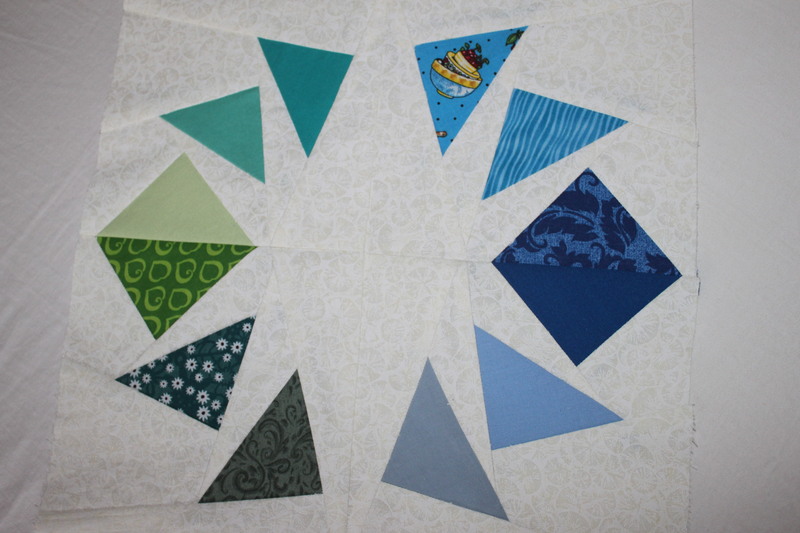 I was assembling this block the same way I just showed you, minus removing the paper after sewing each piece on. 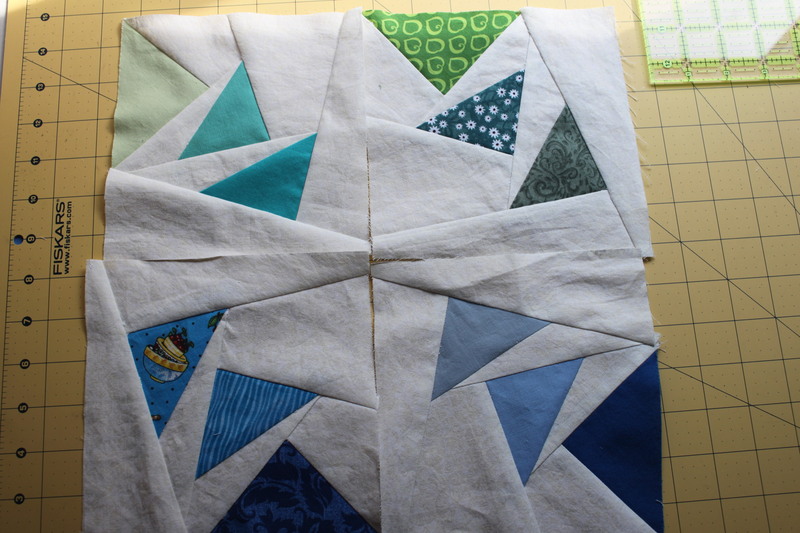 I actually cut the seam allowances into the freezer paper…Doing it this way, the block came together really really quickly! However, I lost all my saved time by having to sit down with a pin and pick at the paper to get it removed so the fabric would show. Boo. And the freezer paper was not salvageable for future use by any means! So don’t do this. It isn’t worth it. 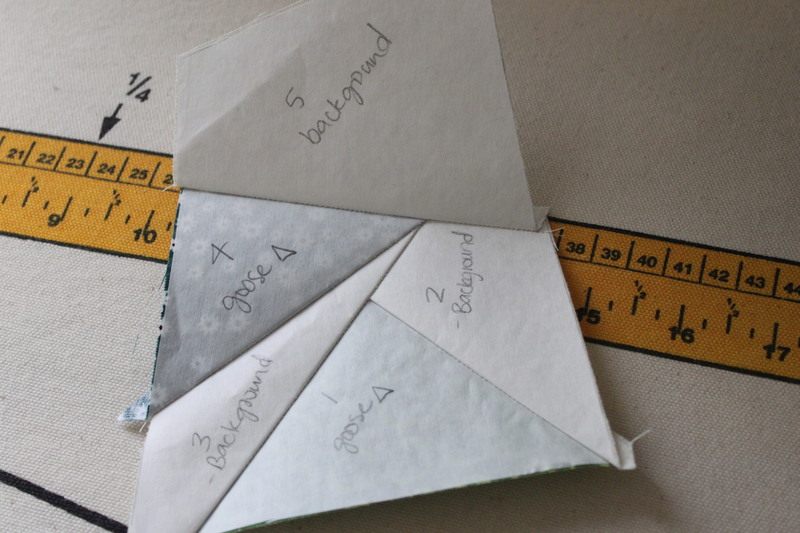 If you do happen to sew over any paper, check inside the seams. 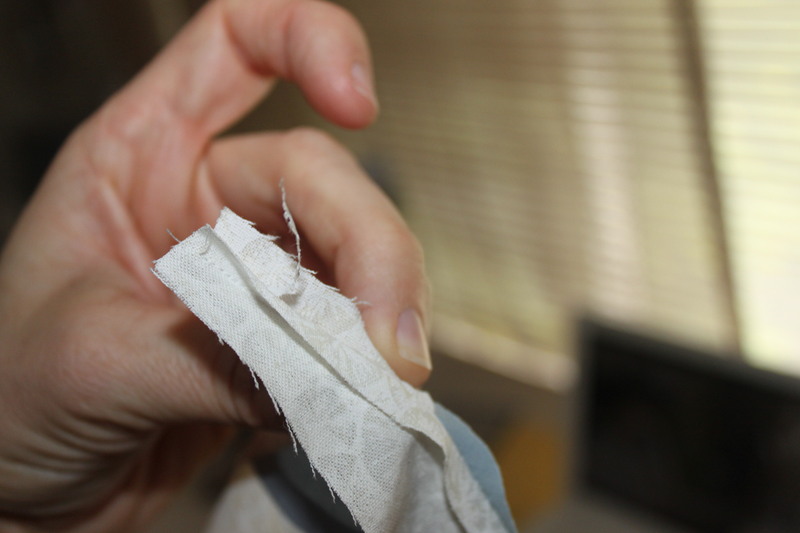 Below, I lifted up part of a little strip of freezer paper that was inside the seam after I removed the paper from the top. 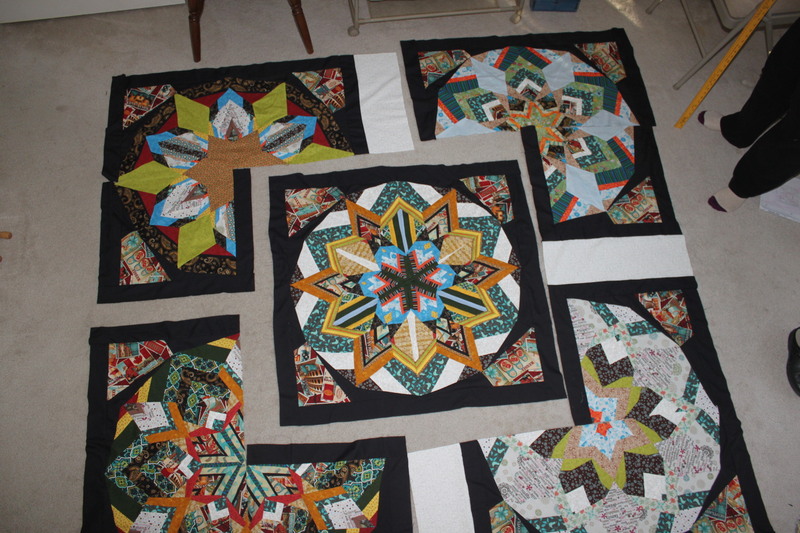 So just keep assembling piece by piece until you have 4 blocks sewn & you’re ready to assemble your circle! For this block, I made 2 small blocks circling clockwise, and 2 circling counter clockwise. I just thought it would look neat if I did it that way. It was fun playing with the different ways the little blocks could come together to form a larger design. 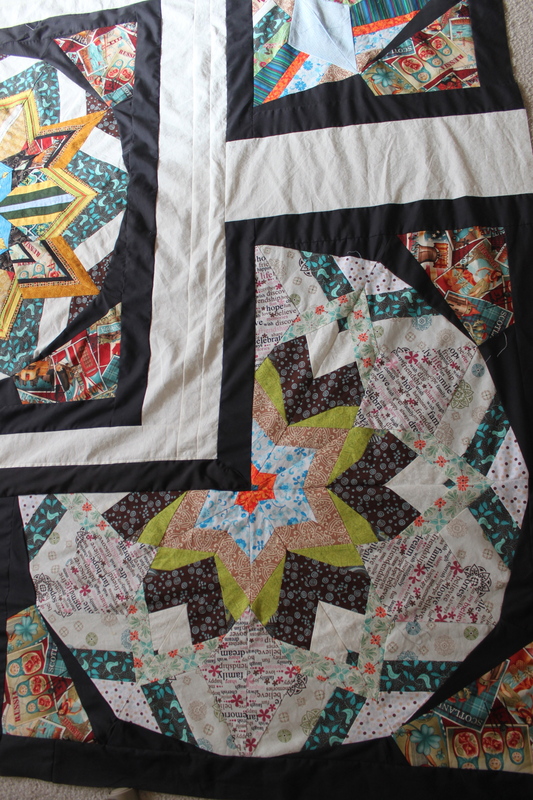 And here you have it, my finished flying geese circle. And no, I can’t seem to take a straight-on photo of it. 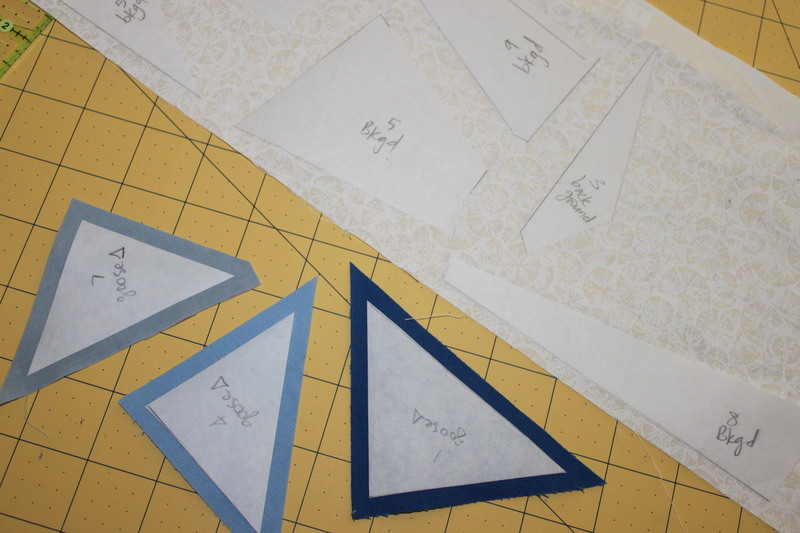 Paper piecing is really easy & projects come together quickly if you’re willing to take a little time at the beginning to prep the pattern & apply the freezer paper. Overall, I think the results make it worth it! My Covert Robin package is sent! I’m only showing the back of the zippered pouch here, because the front gives away who the recipient is. 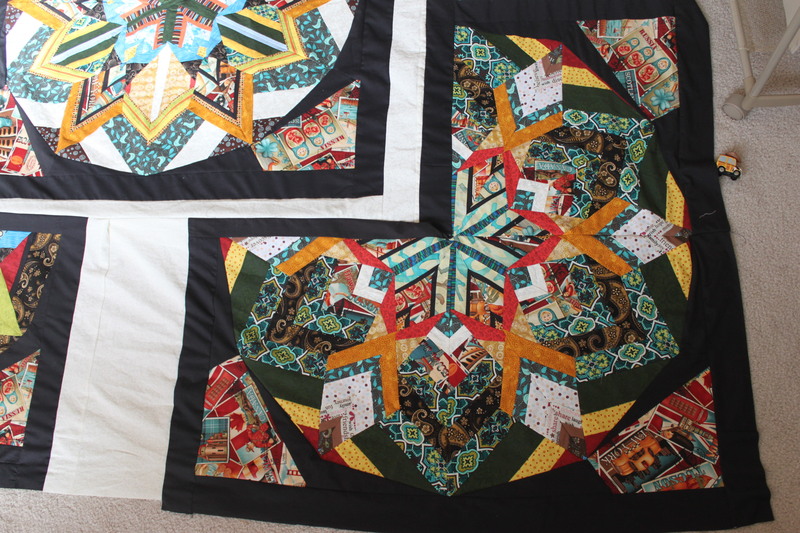 I love the inside fabric, I think it ties it all together & adds some whimsical flair. I did minimalist quilting on the pouch itself. There are 3 lines on the front & 3 on the back. More pics to come after this wends its way to its recipient! I’ve been working hard on a few little projects for the Covert Robin, a fun little “secret santa” type swap among bloggers. More posts to follow regarding this fun little exchange! I just got back from a vacation with my family in Maui. 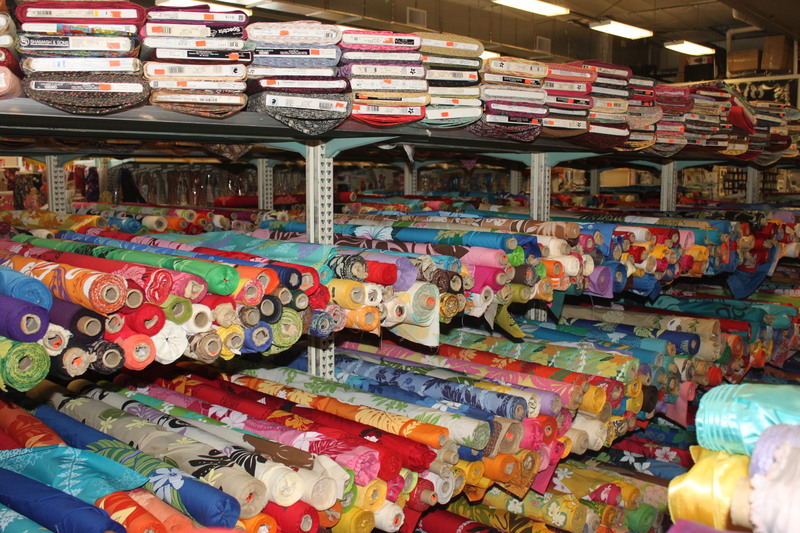 While I was there, I had to check out Fabric Mart. I walked in, and just gaped. 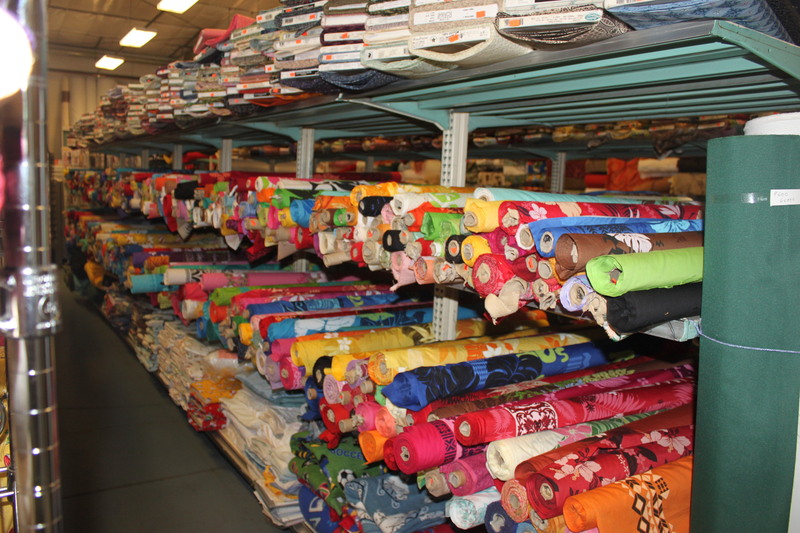 I haven’t seen this much fabric in one store since going to House of Fabrics with my mom in Arizona when I was a little girl. And the prices are pretty decent too! A lot of fabrics were $2.99 or $3.99/yard, which in my neck of the woods are usually only seen on semi-annual sales. I went back to the car & grabbed my camera because I wanted to put some pictures on here. This shop puts my local Joann’s to shame. The fabric from one aisle here at Fabric Mart would constitute the entire fabric selection at my Joann’s. 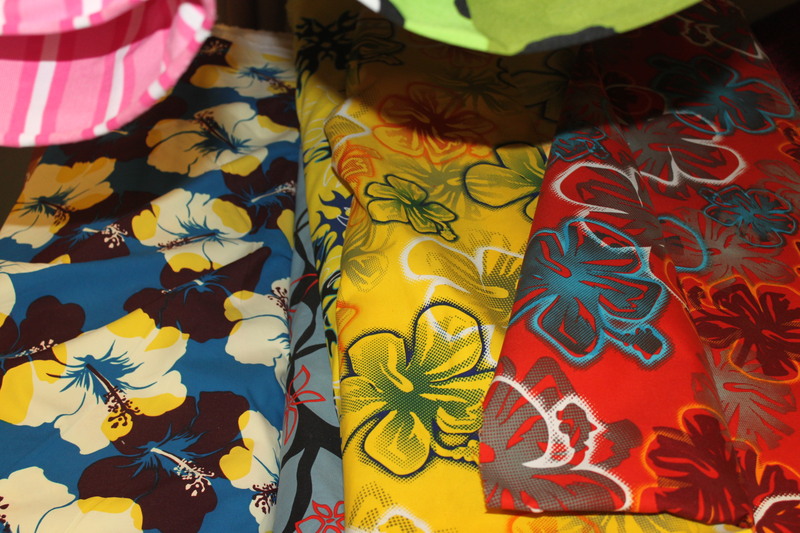 This picture is of some beautiful hawaiian prints my son admired. And this here is my find of the day, some beautiful indigo fabric of silhouette children playing outside. 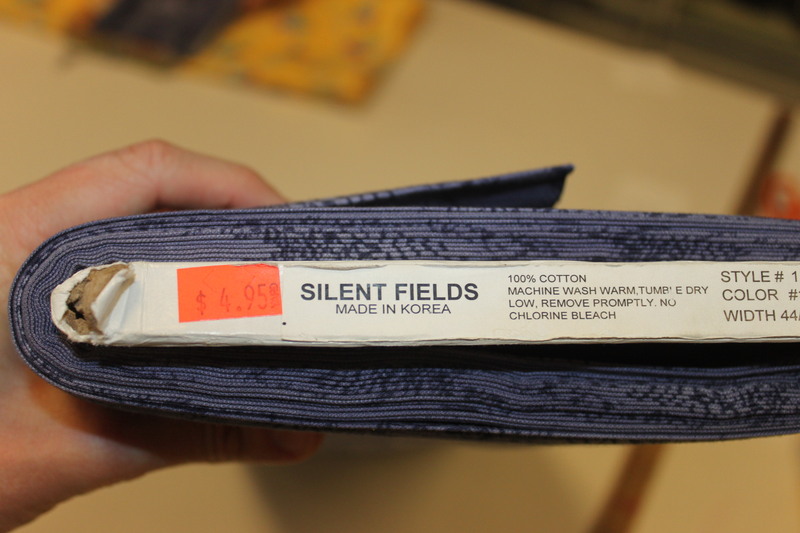 Its actually fabric from Korea. I laughed when I saw it, I thought it was so cute. 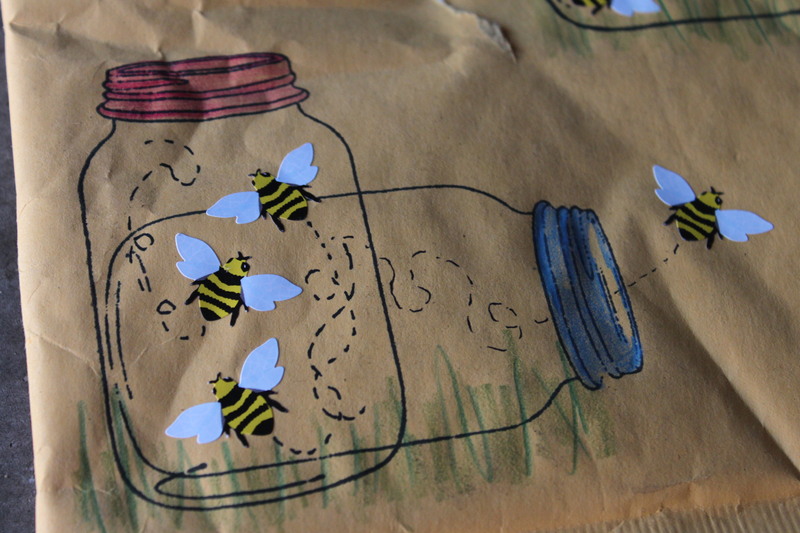 Why wouldn’t stamping an envelope with a jar occur to me? Its so clever. My address was written inside another jar as well. So fun. I love these blocks. There are no 2 that are the same. And no, this is not the final layout either. 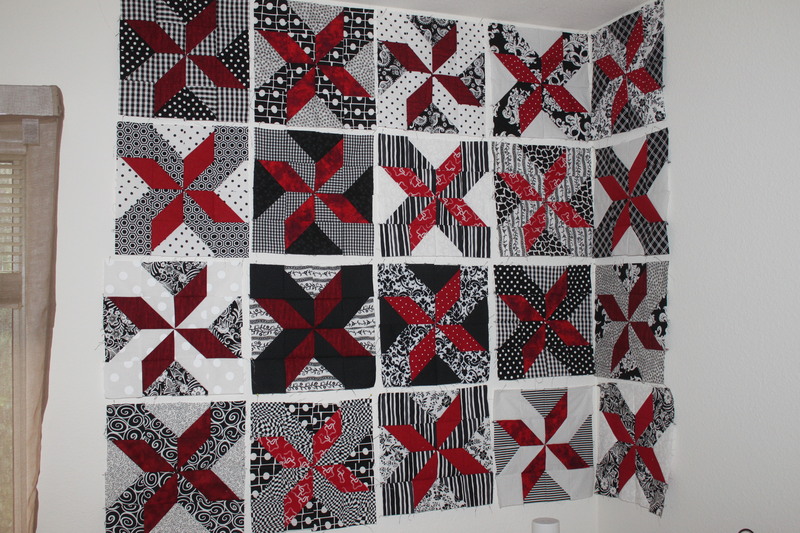 Originally my idea was for the arrow blocks to appear as if there was black and white latticework action happening, but some of the black & white appears gray because of the motion of the fabric, so I’m playing with a different layout for the final quilt that will play to the blocks’ strengths. Don’t get your hopes up of seeing updates posted anytime soon though, March is already booked full in my sewing calendar & April is looking a bit busy as well. Perhaps May? This is going to be a gift for a coworker. She & I were hired at the same time & went through the same hospital nursing program, so we’ve been through a lot together. She recently got engaged, and the wedding will be in November (so I feel no pressure to finish anytime soon, lol!) and this is going to be my wedding gift to her. She told me black and white, had no preference for pattern. I think she’ll like the red pinwheel pops. Ok, so I have to admit that I made 10 less than originally planned. My husband talked me into it. 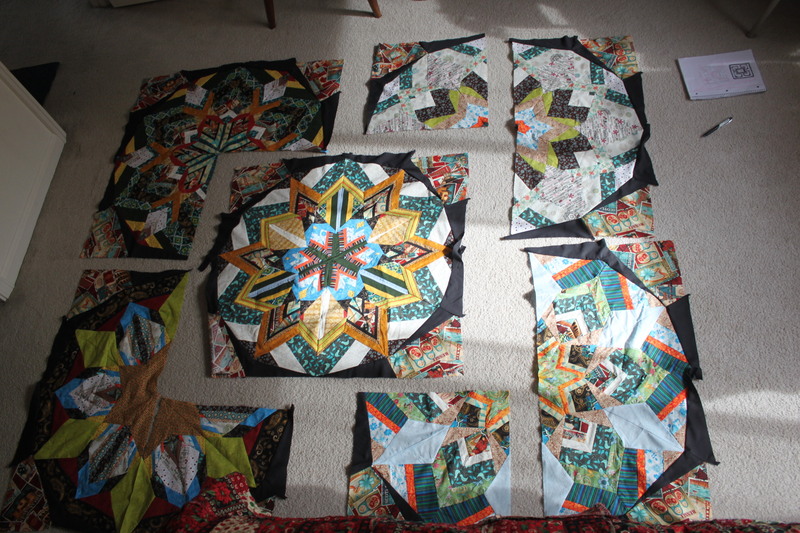 I’m going to use fatter strips for framing than I was intending so the finished quilt should be about the same size anyway. 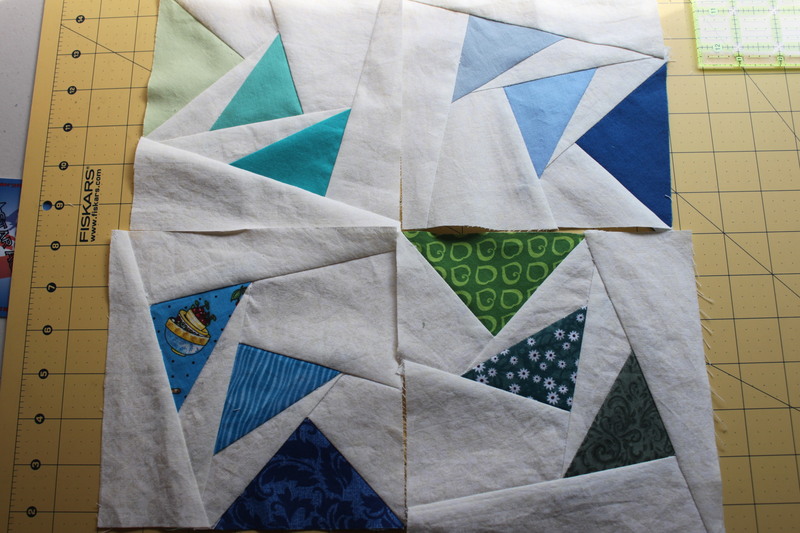 I think that having 20 blocks instead of 30 will look better because of the way I will frame the blocks and borders. Thats my hope anyway! I love this little nook. 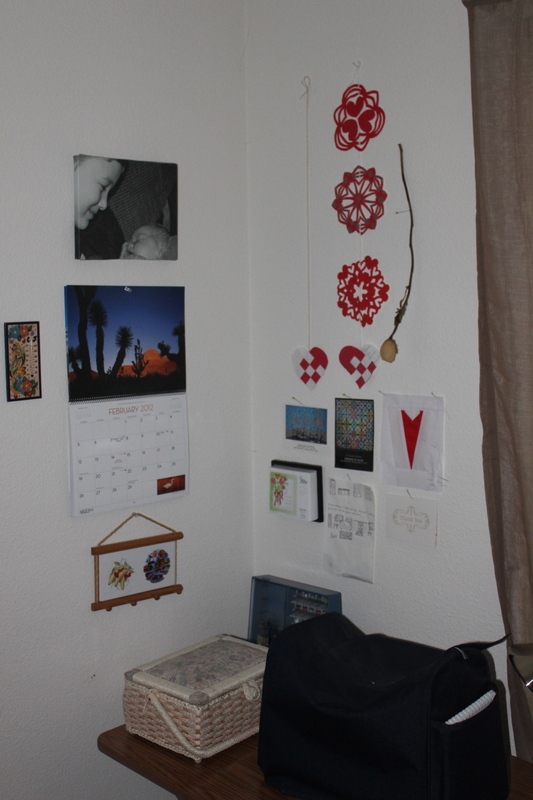 I call it a nook, in reality its a corner of my bedroom. The calendar is a Arizona Highways calendar, which is where I grew up. The b&w canvas shows the first time my eldest son held his little brother, fresh from the hospital. 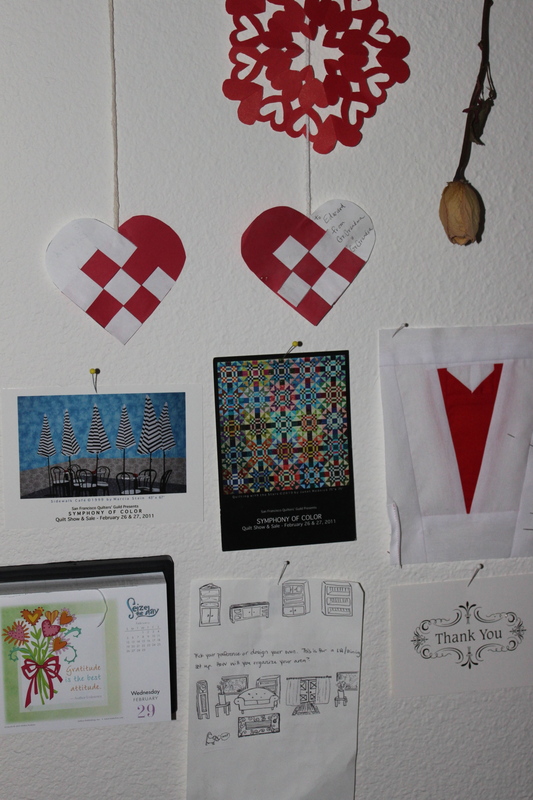 The r&w hearts, and kirigami were sent by my Grandma for Valentine’s Day over the past few years. 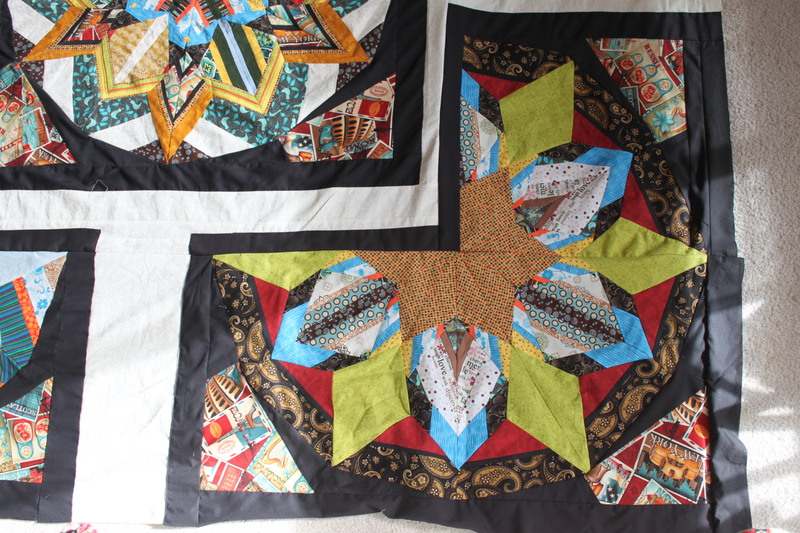 I also have 2 postcards showing different quilts from the 2011 Symphony of Color quilt festival in San Francisco (didn’t go, but I like the quilts on the cards!). 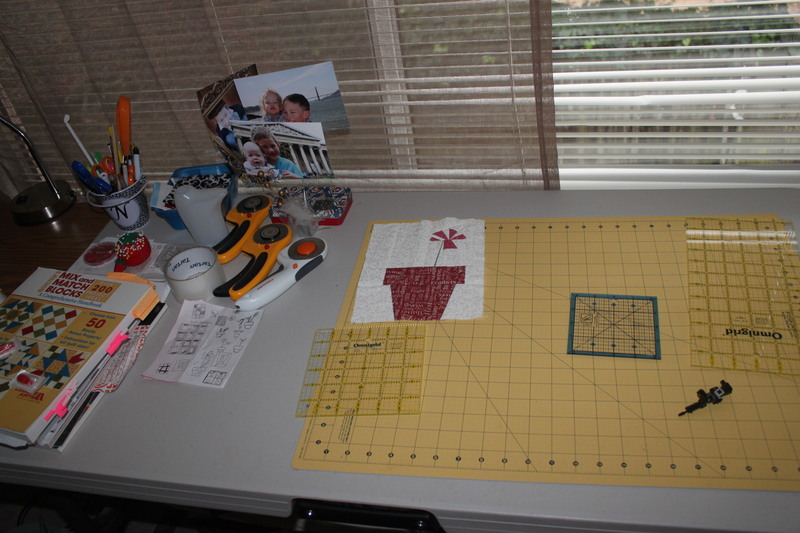 True confession: the red pieced block is not a retro swimsuit or back view of a spartan’s cape. Its my pathetic attempt at sewing this tutorial, and I keep it there to remind me about the virtue of calculating seam allowances! A motivational day-by-day quote calendar, a rose given me by a sweet patient, & some furniture sketches make up the rest of what I have pinned above my machine. My cutting table is to the right. Its just a typical rectangle table from Costco. I have the left side dedicated to the obligatory entropy that goes along with creativity & fabrics. Quilt books, pins, bucket of pens/scissors/etc. If the rotary cutters go into it, the bucket tips over. And so they are relegated to the plain tabletop. I love my yellow cutting board on the right. I bought it on Black Friday a few months ago on sale with a coupon for additional 25% off…what a steal! I keep my small omnigrids on it when not in use, but the larger omnigrids go under my bed, since I don’t trust little hands to not crack them accidentally. 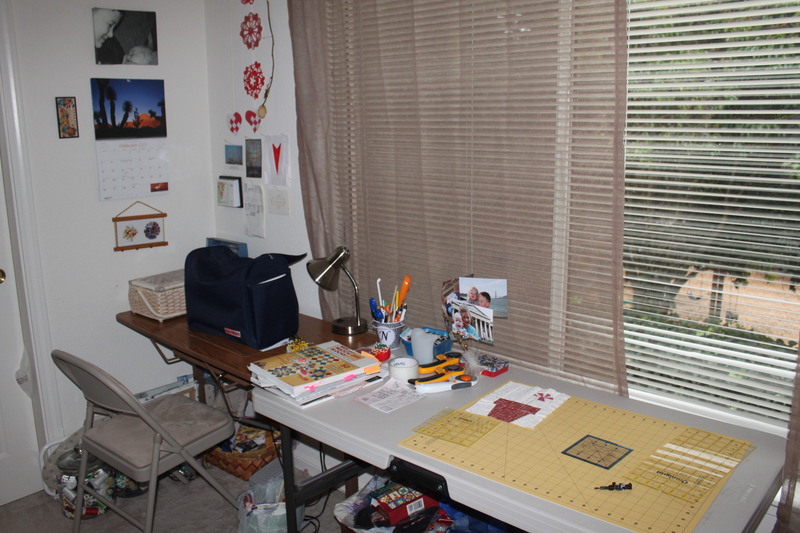 Overall, my sewing space may not be too fancy but for me it embodies the perfect mix of functionality with inspiration.